This product is currently out of Stock. We do not know if or when it will be available again. 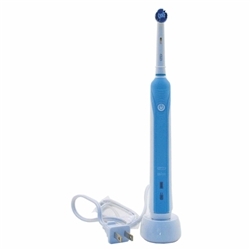 The real purpose of any home use dental tool is to help disrupt plaque on a daily basis. 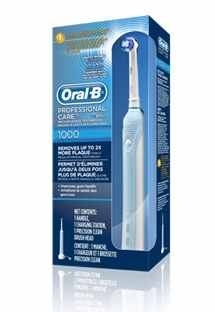 An Electric toothbrush (as well as a manual one) can certainly do that. Many studies suggest that an electric toothbrush is many times better. At the end of the day, disrupting that plaque on a daily basis is what is important. Learn more. 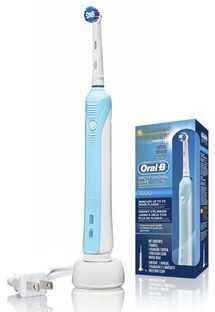 Oral B is of German technology and they make great Electric Toothbrushes! One of the dangers of brushing too hard is the potential to damage gum tissue and cause recession. pressure when using any tooth brush.